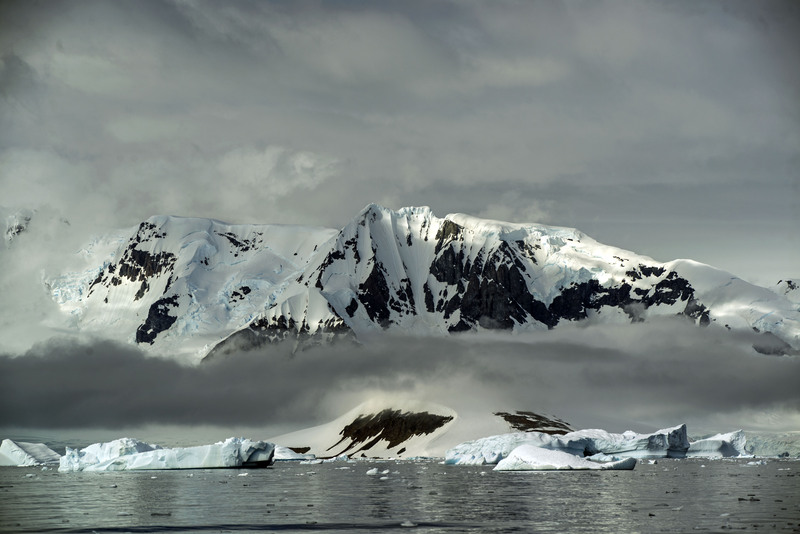 Overnight the ship steamed from the South Shetland Isles across to the Antarctic Peninsula. 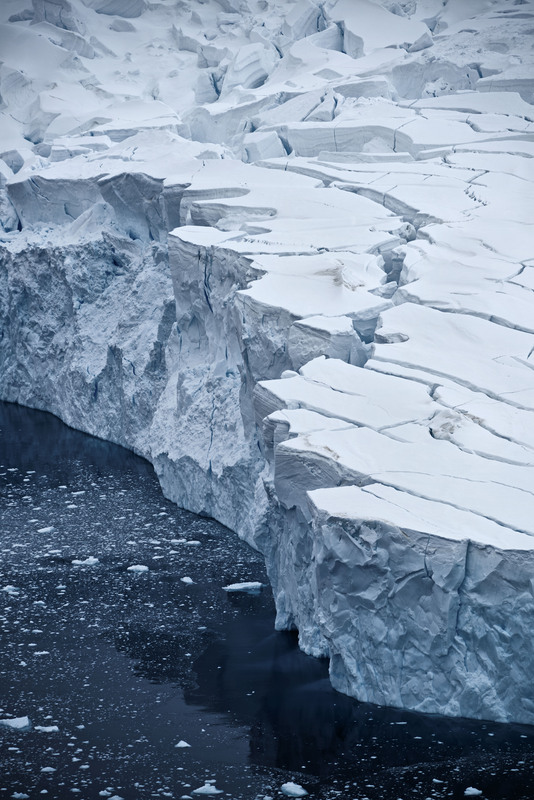 As we moved further South the temperature dropped noticeably and the quantity of ice in the water rose. 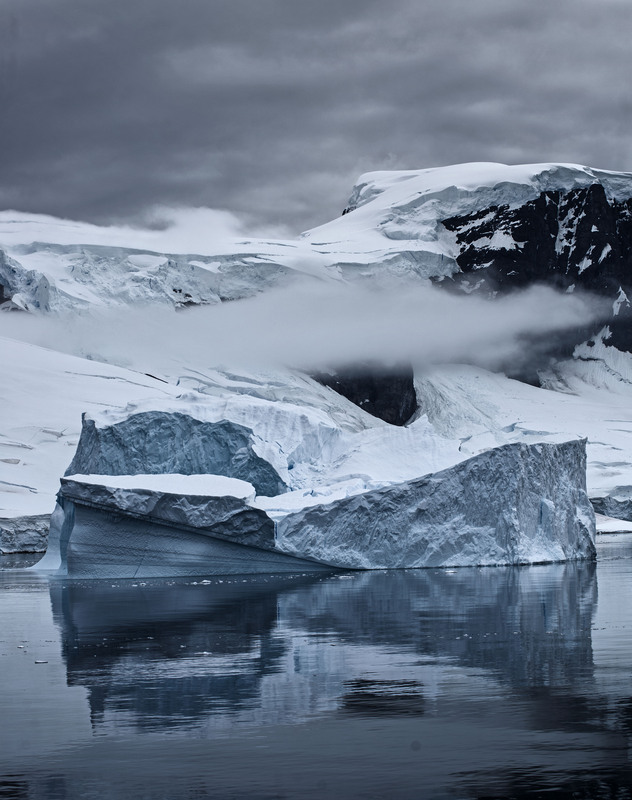 The scenery of the peninsula is jaw-dropping with glaciers everywhere you look and ice covered mountains rising up from water littered with icebergs of all sizes. 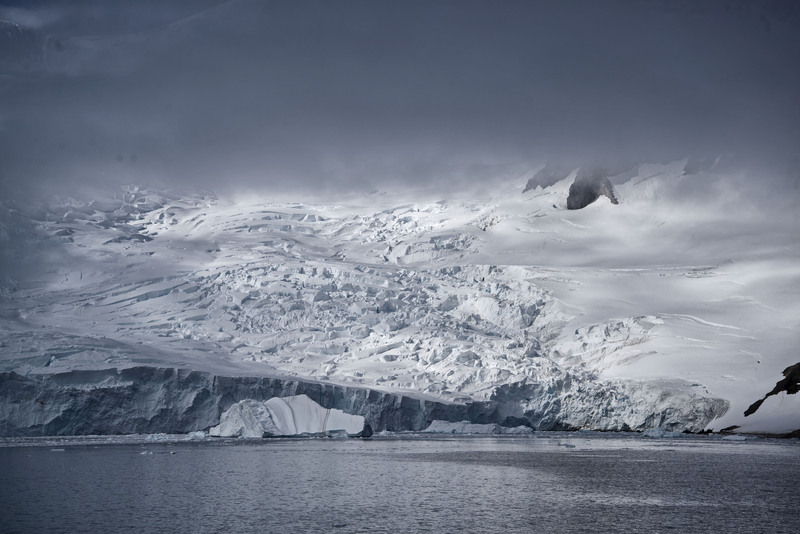 The amount of ice on the Antarctic Peninsula is actually a problem for the ships down here and too much ice means that landings can be cancelled or changed. We were lucky as we had lots of ice but it didn’t stop us going anywhere. Our first stop of the day was Cuverville Island. This was a small landing area and the Sea Spirit did not have a permit to land all 100 passengers on the island. Instead half of us went on a zodiac tour whilst the other half visited the island, swapping just in time before those of us on the zodiac started to become hypothermic. 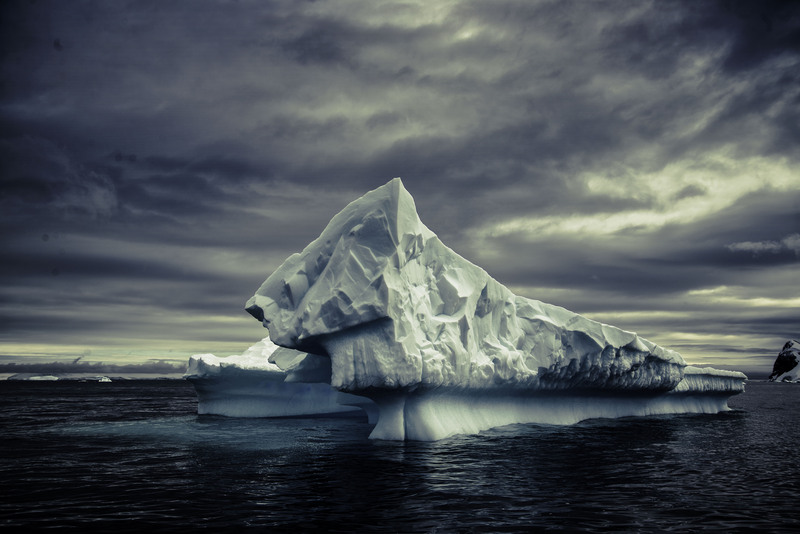 The zodiac tour was great getting us close to lots of medium size icebergs in the area. 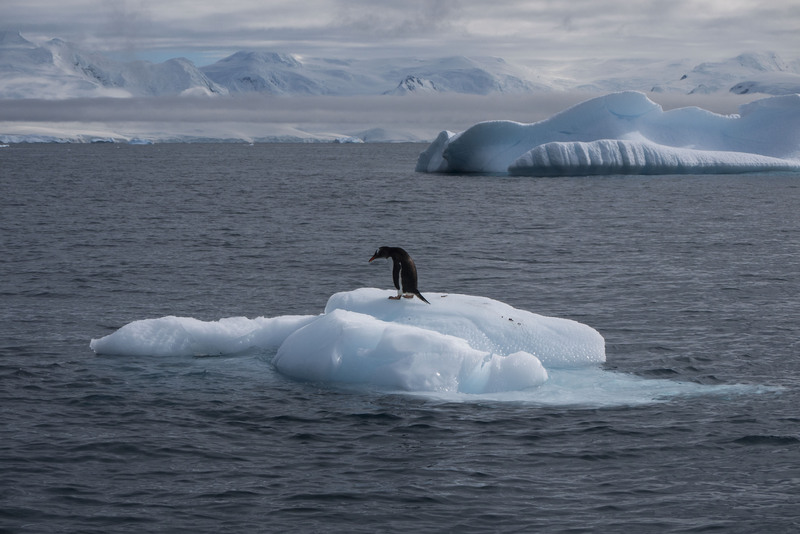 We saw plenty of Gentoo penguins in the water and even standing on the ice. But it was really the ice that was the star of show. 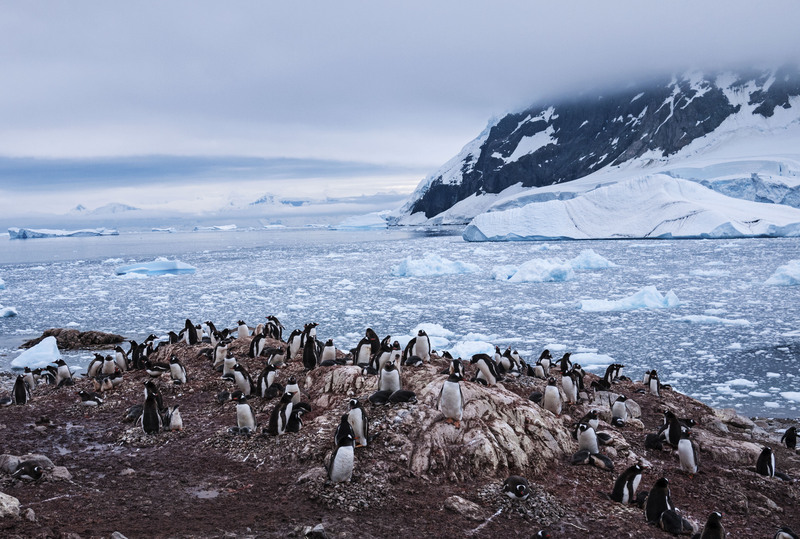 When we landed on Cuverville Island itself the penguin stench was definitely up at another level . The Gentoos are definitely more stinky than the Chinstraps from the previous day. 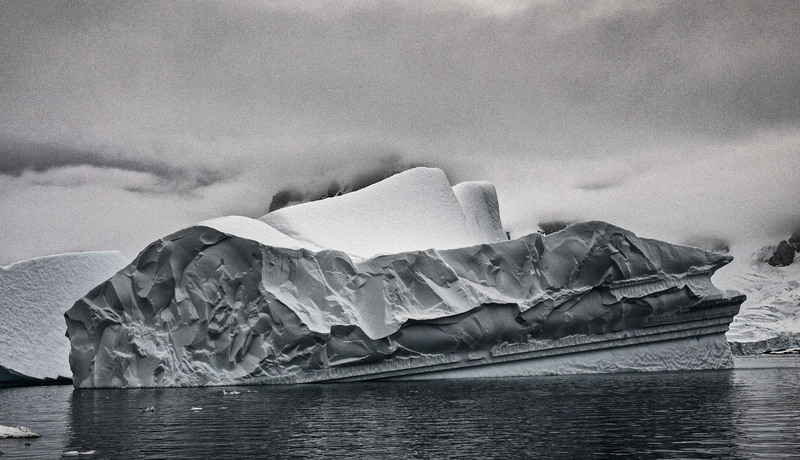 After going back to the ship and having a great BBQ lunch on the back deck with amazing views of icebergs and glaciers there was another landing in the afternoon. 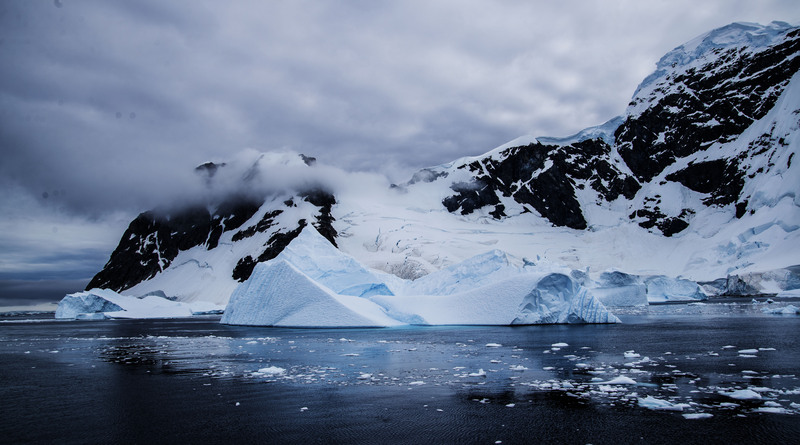 This was at Neko Harbour which was our first landing on the mainland of the Antarctic. 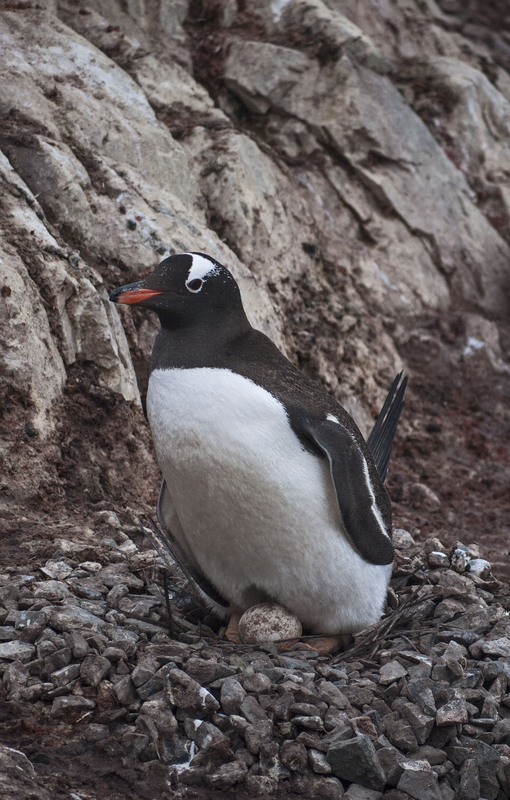 The landing itself was surrounded by Gentoo Penguin Rookeries and the attached smell. Most of the penguins had chicks but we saw the guy below sitting on an egg. Even if the egg hatches it will be too late for the chick to mature before winter comes and the parents have to leave or be trapped by sea ice, so there’s no hope for this little fella. 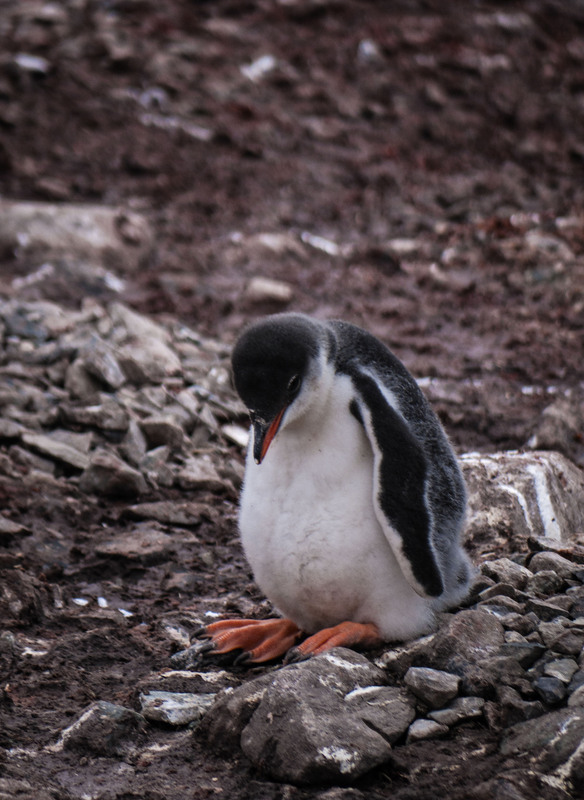 Most of the penguins have two chicks but often only one survives. 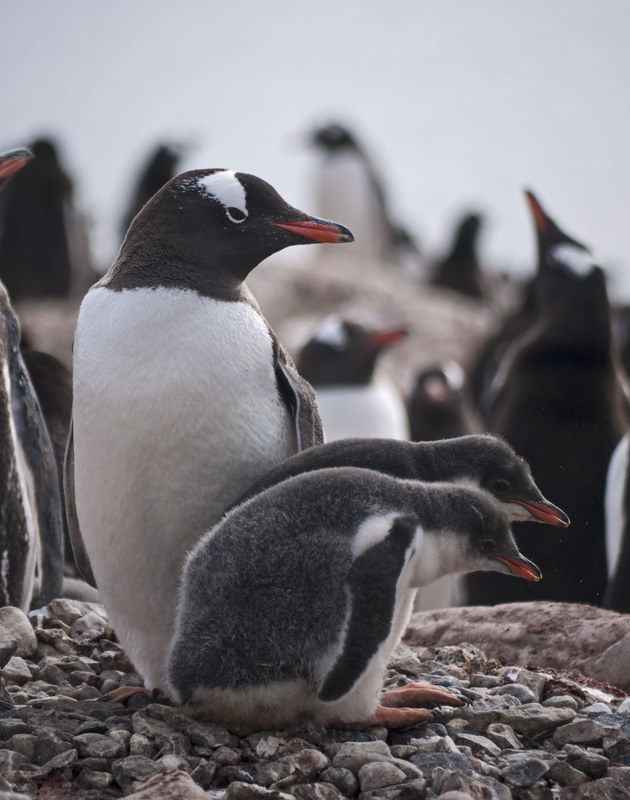 These Gentoo chicks are a week or two old before their molt starts, giving them a waterproof coat which means they can start to swim. 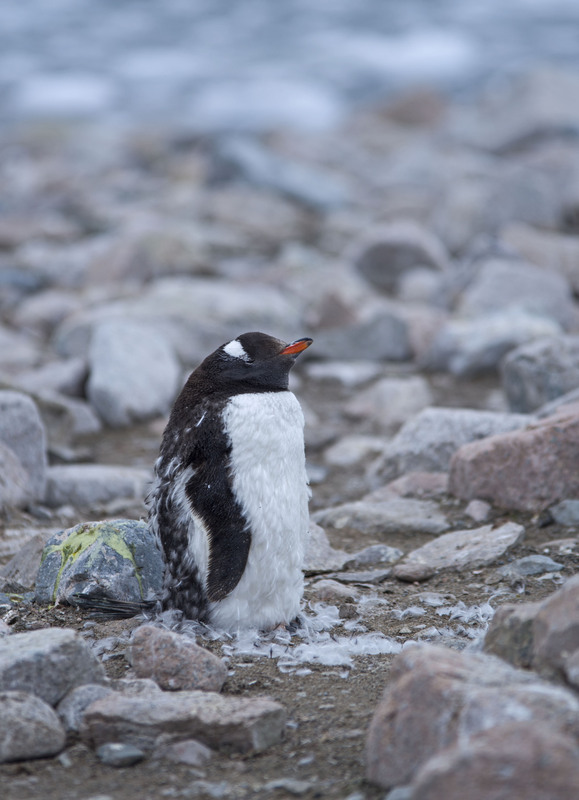 The penguins which don’t have surviving chicks and the ones that aren’t sexually mature will molt earlier than those with chicks. The molting process takes two weeks during which time they are not waterproof and they don’t move much. Disturbing them is problematic as they are living on stored fat and movement burns this more quickly so this can be quite a stressful time for them. However there was more to this landing with a hike up a steep snow covered hill to a rocky promontory with amazing views of the surrounding glaciers. While we were up at the viewpoint we saw a couple of carving events from the glacier and a big avalanche along the upper snowy slopes from a high up hanging glacier hidden by cloud. 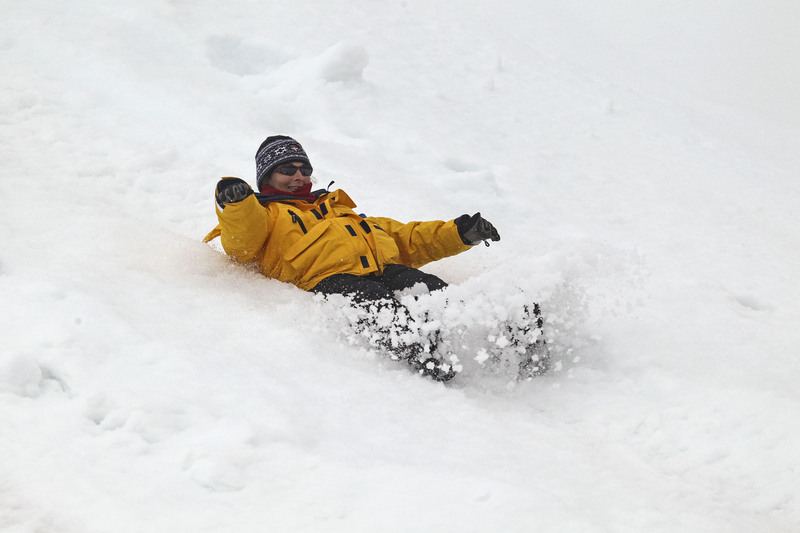 We hiked up to the top of the hill but on the way down we were encouraged to slide down the snowy slope. Chris, the onboard doctor, stood by at the bottom with a worried look on his face.